Create Invoices & Payments at once. Select multiple orders from the order listing page and click on Create Invoices & Payments option from the Bulk Actions dropdown. 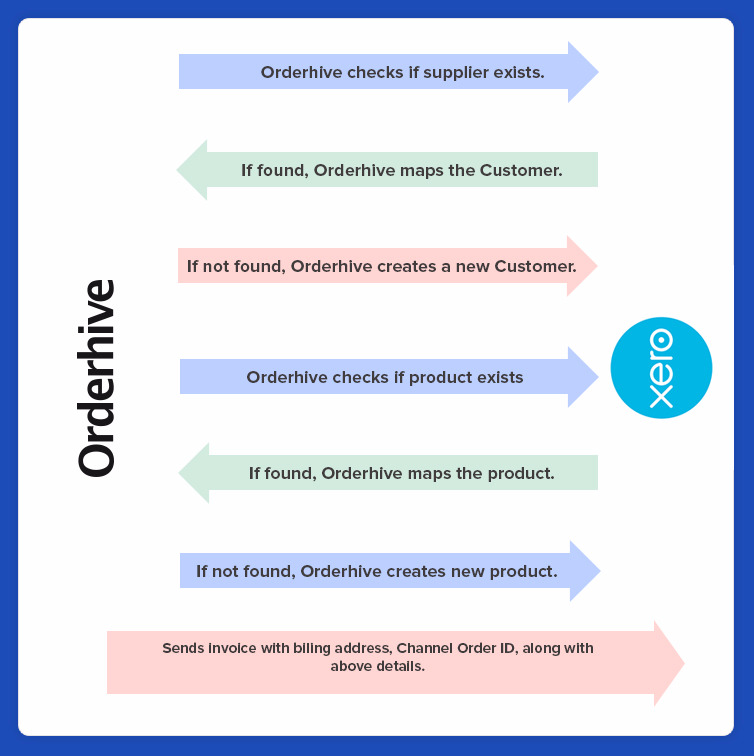 Doing so will trigger Orderhive to automatically push invoices and payments to Xero. 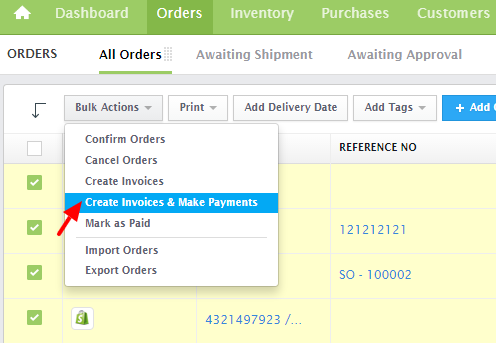 Create invoice and payment individually from the order detail page. Go to the specific order and click on the Invoice tab. You’ll see two buttons. If you want to only send invoice, then click on Create Invoice. In case you want to send both, invoice and payment, then click on Create Invoice & Receive Payment button. 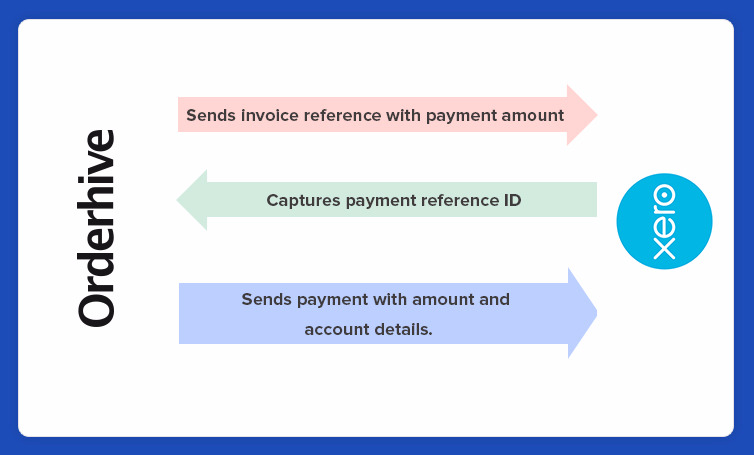 Orderhive can add full and partial payments to authorized Xero invoices when a payments account is specified (during Integration).